People love Costco. I can tell just by the popularity of Costco posts on this blog. One downside to Costco for a foodie like myself is that they often don’t offer a lot of varieties of products. They give you a couple options, not the many options that standard grocery stores do. Take apples for example. 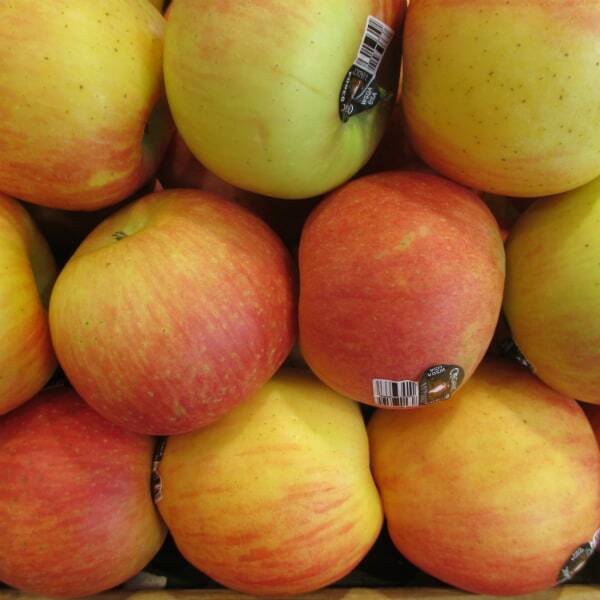 Costco only sells a handful of varieties of apples – the Galas, Fujis, Honeycrisp, etc. I am not a big fan of the mainstream apples but there is only that I saw on my recent trip that is by far the best tasting apple available and that is the Lady Alice. This is a winter apple in that is it released in the winter time after spending some time in cold storage. Many apples are better when they are given some time to chill out. A Pink Lady for example is pretty harsh right off the tree (really tart) but mellows out in storage (I tried one last year at Quarry Hills Orchards in Ohio). Costco was selling Lady Alice apples for $1.27/lb, which is a good price for this apple. Meijer stores sell them for $1.99/lb. Whole Foods was selling organic Lady Alice for $2.99/lb earlier this year. I first posted about this apple, over 5 years ago (wow, I can’t believe my blog is that old!) and have gotten many questions about the apple, so I thought I would take some time to answer some of those inquiries. 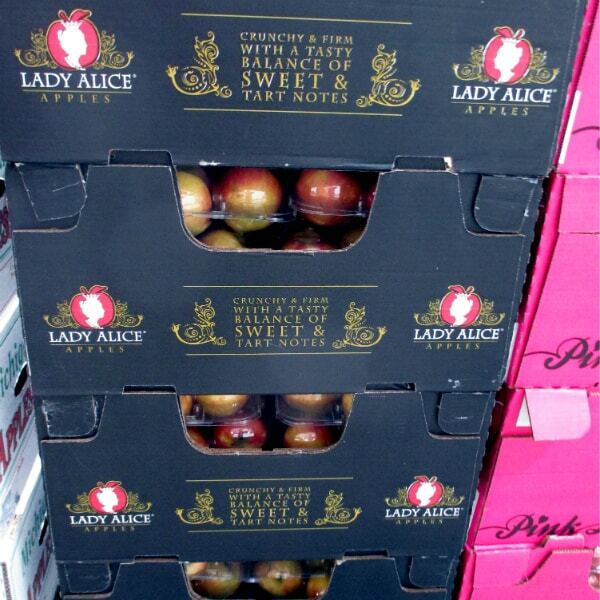 Are Lady Alice apples Organic? 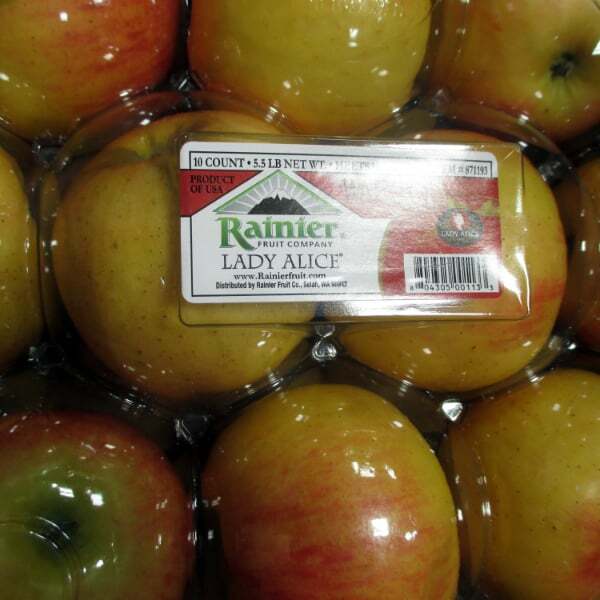 Rainier Fruit Company is the exclusive grower of Lady Alice apples. They ship both organic and conventional Lady Alice apples. The ones at Costco were conventional. I have only seen the organic at Whole Foods. What Is the Difference Between Lady Alice apples and Pink Lady Apples? People seem the name “lady” and wonder if there is a connection between the two apples. They are both good keeping winter apples. I think Lady Alice is a bit sweeter and has a more rich flavor. Both are crisp, but I would give a slight edge to Pink Lady in that category. What is Lady Alice Apples a Cross of? No one knows for sure. It was an accidental discovery. In 1979, a damage red delicious tree, send out a branch that produced fruit that was different from the rest of the fruit on the tree. The exact parentage cannot be determined. Are Lady Alice apples Non-GMO? I am finding it more common nowadays when someone sees a new variety or a fruit or veggie they aren’t familiar with they immediately question whether it is a GMO. As you read about the origins of the apple was not in a laboratory, so it’s not genetically modified. Can You Juice Lady Alice apples? I have never done this before but it sounds like a great idea. The apple has a lot of flavor and is juicy. My mouth is watering at the thought, now I want try it! Can You Make Applesauce with Lady Alice apples? You really can make applesauce with any apples, just some work better than others. I like the sweet/tart balance of this apple, which I think would make an excellent applesauce without any needed sweetness. I am not sure how the texture would be, but it’s worth a shot. What Apples Would You Compare Lady Alice Apples to? I would say that it is not as sweet as a Gala but more flavorful. I think it tastes b better than a Honeycrisp or Pink Lady, but a step less crisp. If you like any of those 3 apples I think would you enjoy Lady Alice. A couple other less popular apples it reminds me of are Cox’s Orange Pippen and Pinata. Finding this a little late, but thanks for including our Lady Alice apples! We hope you’re enjoying them again this season! I certainly am. I send you email with a couple questions.